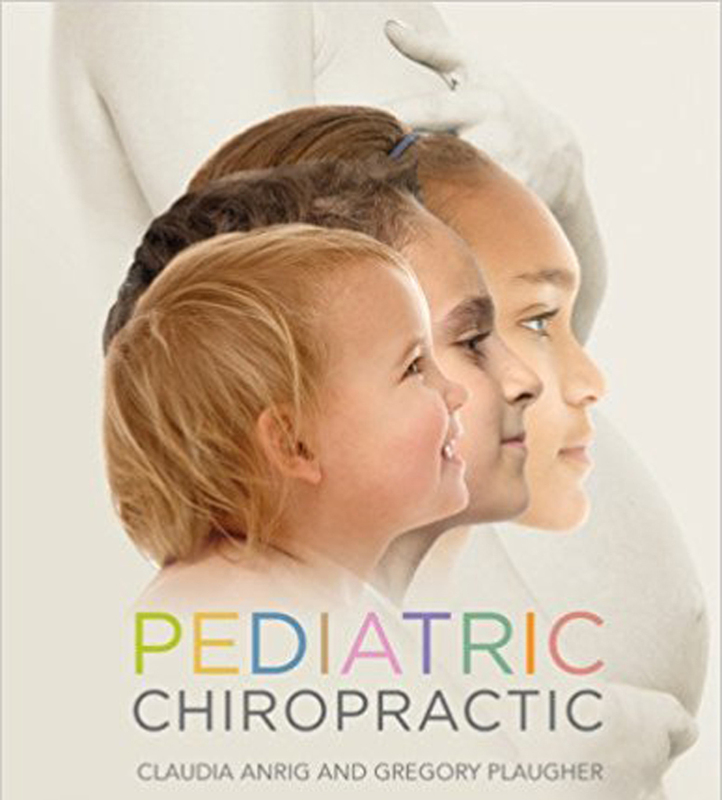 Background: Children, particularly infants, commonly present to chiropractors. Few studies have concentrated on the demographic profile of infants as well as clinical changes reported by parents of infants under chiropractic care. Objectives: To identify the demographic profile of infants presenting to a chiropractic clinic and to investigate any change of infant symptoms and maternal feelings following an episode of chiropractic care. Setting: This health care observation study was performed at a chiropractic teaching clinic on the south coast of England. Subjects/Patients: The study included all mother-infant dyads who presented to the clinic between August 2011 and June 2015 and could read and write English and who consented to complete the forms. Exclusion criteria were mothers of infants older than one year of age at presentation. Methods: All mothers were asked to complete two questionnaires at the initial visit and two follow-up questionnaires at discharge. Data collected were sociodemographic characteristics along with questions asking for graded responses regarding the daily amount of irritable behavior in their child, level of distress the mother feels with her child’s behavior, restfulness of infant sleep during the week and difficulty to console the child when crying as well as to the clinical experience provided. Additionally, the validated Edinburgh Postnatal Depression Scale (EPDS) was used as a report of the mother’s feelings. Results: 413 mothers completed the intake questionnaires. 197 (48%) mothers completed the discharge questionnaires. At intake, 50.3% (n=182) of the patients were four weeks of age or younger. The presenting complaint appeared before the age of two weeks in 79.1% (n=161) of the cases. 30.2% (n=160) presented with colic/crying and 22.9% (n=121) with a feeding related complaint. The modal length of an episode of care was two weeks. Over the course of treatment, average maternal distress levels reduced by 48%. Mean amount of irritability reduced by 31%; mean restfulness of sleep improved by 27% and mean difficulty to console reduced by 38% in the infant. The median EPDS score dropped by 50% over the time of care. 96.3% of parents rated 8–10 satisfaction with care on a scale of 1–10. Conclusion: Infants who presented to the chiropractic clinic showed improvement of symptoms by parental report and parents were very satisfied with treatment. Additionally, lowered levels of distress and lowered Edinburgh Postnatal Depression Scale (EPDS) scores were reported at the end of treatment. However, this study was not randomized or controlled, so that the therapeutic effect of chiropractic care of the common complaints of infant crying and sleep disorders cannot be generally accepted until higher level studies are done. However, maternal reports of infant health have been found credible. Health of children and adolescents is coming more and more into focus with the rise in lifestyle diseases such as cardiovas­cular disease and diabetes, which have been shown to begin in early life. A similar pattern can be observed for musculo­skeletal conditions such as back pain, where childhood back pain is a strong prognostic factor for back pain later in life. [2, 3] Consequently, chiropractors are interested in the musculosk­eletal health of children. This study aimed to explore the demographic profile of the infant presented by their parent for chiropractic care at a chi­ropractic teaching clinic in the United Kingdom, as well as any reported change in parent perceptions of complaint after an episode of chiropractic care, along with the duration of that episode of care. From other health care areas it has been shown that the over­all quality of the patient experience is associated with patient outcomes such as recovery and treatment adherence. [12, 13] Of particular importance seems to be the fact whether or not the parents feel that the health care professional is listening to their concerns. [13–15] In pediatric practice, communication with parents is most strongly associated with parents’ satisfaction with care. Although this study does not investigate parent-practitioner and practitioner-practitioner communication, this study did investigate parent satisfaction with care, along with their report of outcome. The aim of this study was to follow a cohort of infants who presented to a chiropractic teaching clinic on the south coast of England and to observe for any clinical changes. The objec­tives of this study were to identify the demographic profile of infants presenting to the chiropractic teaching clinic and to investigate reported changes of infant symptoms and mater­nal feelings during an episode of chiropractic care through the use of intake and follow-up questionnaires completed by the mother. Four questionnaires were used; two questionnaires at the initiation of treatment and two follow-up questionnaires at discharge from care. One questionnaire was developed as a pilot project by experienced clinicians at the chiropractic teaching clinic. Data collected were sociodemographic char­acteristics along with questions asking for graded responses to the clinical experience provided. The mothers were asked to give a rating on a scale of 1 to 10 with regards to the daily amount of irritable behavior in their child, level of distress the mother feels with her child’s behavior, restfulness of in­fant sleep during the last week and difficulty to console the child when crying. Additionally, the Edinburgh Postnatal Depression Scale (EPDS), a validated depression index, was also used, as a report of the mother’s feelings. As follow-up questionnaires, there were one of two modified versions of the original questionnaire and the EPDS again. All data collected were part of routine clinical practice and it was not possible to identify any patient based just on the completed survey. The paper surveys were not collected from the patient files until after the patient’s care was complete, so that the information included was available to the treating clinicians at all times. The data were used only after all care was completed. This was considered an ethical use of health care data. Nevertheless, the surveys and plans for use were approved by the local ethics committee. All mothers entering the clinic gave written consent to be included in research. All information was confidential and voluntary. The data were collected between August 2011 and June 2015 by student interns in the chiropractic teaching clinic. The in­terns gave a paper copy of the surveys to the mother at pre­sentation of the infant to the clinic and a second time on the discharge visit. Sampling was by convenience. All mothers in infant-mother dyads who presented to the clinic and could read and write English and who consented to complete the forms were included. Exclusion criteria: parents of children older than one year, or who did not read and write English, or who did not consent. All data recorded on the questionnaires as part of routine clinical care were transferred and analyzed in Excel and SPSS 24, where graphs and tables were produced where ap­propriate. The data collected were mainly descriptive data. Nominal data were presented as percentages in tables or bar graphs. A total of 417 mother-infant dyads entered the clinic. Four mother-infant dyads were excluded as the infant was older than one year. 413 were eligible for the study and completed the first set of questionnaires. 197 (48%) mothers filled out the second set of questionnaires at discharge. Table 1 presents the demographic characteristics of the babies attending the clinic. When the first set of questionnaires was completed, 50.3% (n=182) of the patients were four weeks of age or less. The presenting complaint appeared before the age of two weeks in 71.9% (n=161) of the cases (Table 1). The parents could give more than one reason for attending the clinic. 30.2% (n=160) stated colic/crying, 22.9% (n=121) had a feeding related complaint, 19.5% (n=103) wanted a check-up and 27.4% (n=145) had other reasons for attending the clinic (Table 1). The preferred sleeping position was sleeping on the back for 54.1% (n=184) of the babies (Table 1). 52.1% (n=174) of the babies were irritable when lying on their backs (Table 1). 78.3% (n=267) of the babies received tummy time with 27.2% (n=81) being irritable on their tummy (Table 1). 48% (n=73) of the patients were discharged within two weeks after initial presentation (Table 2). The modal length of care was 2 weeks with a mean of 4.81 weeks. Mean parental distress levels reduced by 48% (Table 3). The mode of parental reports restfulness of infant sleep dropped from 7 to 1 over the course of care (Table 4). The mode of parental rating of satisfaction, amount of improvement and expectations met after treatment were 10, 9 and 10, respec­tively (Table 5). The median score of the EPDS dropped from 6 to 3 over the time of care whilst the mean dropped from 6.58 to 3.66 (Table 5). The key factor about episode of care is that it must beat the natural history of the disorder. For example, if the baby could be expected to recov­er from the excessive crying of infant colic within two weeks or less (which, considering the young age of the infants pre­senting for care is unlikely), then it would be highly unlikely that it was the care helping the condition but rather just time passing. However, excessive crying of infant colic is said to take 12–24 weeks for recovery. As it is, this type of study can­not determine actual efficacy of the treatment, but can only report what the parent said about the benefits of treatment. It can be said, however, that the parents reported that the benefits for the child beat the natural history of the disorders, as they are known at this time. In fact, mothers reported that all symptoms reduced from presentation to end of treatment. This is corroborated with the find­ings in this study where only 54.1% of the infants were put exclusively on their back for sleep. A recent American study found a rate of 49.2%. These findings show that there is still potential to reduce the risk of sudden infant death syndrome even further and one way would be to address the sleeping position with parents and for chiropractors to help the baby achieve comfort in that position. It is also interesting that the unexplained infant death rate continued to slowly decrease over the last decade despite the relatively high percentage of infants’ not exclusively sleeping supine. Perhaps other risk factors play a greater role than currently assumed. This study found parental reports of poor infant sleep qual­ity (scores 7–10) to reduce by more than 2.5 times after an epi­sode of care. Whilst disrupted parental sleep in itself is a risk factor for depression,  disturbed infant sleep has also been linked with higher scores in the Edinburgh Postnatal Depression Scale (EPDS). [25, 26] This makes parents vulnerable for postnatal depression. Not only may they have difficulty sleeping restfully as they are getting adjusted to the new lifestyle and worry about their new child, but the child may have their own sleep issues further disturbing parental sleep. Resolving any sleep issues may therefore increase the chances of reducing postnatal depressive symptoms in par­ents. As a matter of fact, the largest improvement in scores was found in the reduction of scores on the maternal depression scale. Parental reports of low scores (1 to 3) of feeling dis­tressed doubled over the course of an episode of care to 80%. Maternal distress levels and EPDS scores were cut in half af­ter their infant experienced an episode of care. A mean intake score of 6.6 on the EPDS within the first eight weeks postpar­tum, in this study population, is comparable with other in­terventional studies (6.0,  7.5,  and 8 ). At discharge, which generally happened two to three weeks after initial consulta­tion, this study sample had a mean score of 3.7. This change can be classified as clinically significant as other studies have deemed a 30–34% change on a similar scoring system suffi­cient to define a clinically significant change. [30–32] However, defining a change as clinically significant is difficult as it is essentially a very subjective measure. The EPDS scores on follow-up were low compared to other studies. However, those studies looked at long-term change over a range of 4–12 months, and there was no measure of the children’s clinical care making comparisons difficult. [27–29] One other study found similar results following a course of treatment at a chiroprac­tic clinic. Again, long-lasting effects were not investigated. That said, what parents need is some immediate relief from the stress of the new infant, and benefits that occur quickly can be just what is required at the time to reduce the imme­diate vulnerability of the dyad. This study only investigated short term results over a short time of treatment. In this study, parents’ expectations were reported to have been met by the care given. Interestingly, parent satisfac­tion was rated higher (10) than infant recovery (9). This may be due to the parents’ baseline attitude towards treatment, continued treatment and an improved perception of their in­fant’s health in combination with a reduction of depression scores. Essentially, this all boils down to effective patient-practitioner communication. [15, 35] If the practitioner does not communicate and educate the patient adequately, the patient may not fully understand the natural course of the condi­tion and may not understand the effectiveness and necessity of the treatment in question. Not meeting expectations may result in non-compliance of a treatment plan  or a poorer outcome. [37, 38] Parents may have specific expectations in them­selves in their role as parents, in their infant, in parenthood and how any (perceived) issues in any of these areas may be solved. A thought that may occur commonly in some parents is the expectation that a good parent can always calm their infant. This may lie in the fact that in today’s society a lot of first-time parents experience their earliest contact with a new-born when their own first child is born. They may not truly know what to expect from an infant, how the infant will behave and how the infant should be behaving or how they as parents should respond to their infant’s cries and needs. There was considerable loss to follow-up, which may have skewed the results one way or another. Unfortunately, in this study there was no way of finding out the reason for loss to follow-up. Certainly, it is likely that some children did not need treatment or were referred for treatment elsewhere, so they would not be included in the follow-up. A study of this type has further significant limitations. Firstly, the questionnaires were not validated, except for the Edinburgh Postnatal Depression Scale (EPDS), which has been validated and is recognized worldwide. Sec­ondly, the structure and set up of the questionnaires, both intake and follow-up, were flawed in multiple places. This is evidenced by the change of the style of questionnaire over the course of the study. This has led to a substantially small­er return of these particular answers compared to the other follow-up questions. Another limitation was the fact that both initial and follow-up questionnaires were generally handed out to the mothers by the same intern who also performed the assessment and treatment. Some mothers may have felt pressured to give sociably desirable answers to please the intern or present themselves in a different light. All scores are reflections of the parent’s perception at the time of data collection. As in all studies, one can therefore not guarantee that the data were reported accurately. High quality research in chiropractic practice and especially pediatric chiropractic care is still relatively sparse. Future prospective and controlled studies are needed to investigate the efficacy of chiropractic care on complaints such as infant crying, difficulty to console and sleep quality alongside ma­ternal stress and depression scores. Future studies should focus on the first two months of life for the initiation of the investigation considering their high prevalence in this study. To investigate long-term efficacy of therapy, future studies should include several follow-ups over a prolonged period of time of at least one year. Ideally, these follow-ups would be accompanied by telephone reminders or even done by telephone or text to increase the response rate. In addition, a systematic classification for the common complaints, such as excessive crying, needs to be developed. Randomization will most likely be very difficult as not treating an infant com­plaint could be considered unethical. The demographic profile of infant patients presented to a chiropractic practice setting showed the two leading com­plaints were feeding problems and excessive crying. The complaints were often present from birth and accompanied by potential anxiety/depression levels in the mother. The end of treatment reports, after an average episode of care of two weeks, revealed improvement in the infant’s behaviors and a reduction in depression scores in the mother. Parents were highly satisfied with care and their expectations were met. However, this type of study only reports parent’s per­ceptions and cannot establish efficacy of therapy since it has neither randomization nor a control group. Further higher level studies are indicated to establish effectiveness of chiro­practic manual therapy for the common problems in infant’s activities of daily living. Zachariah JP, de Ferranti SD. NHLBI integrated pediatric guide­lines: battle for a future free of cardiovascular disease. Groenewald CB, Beals-Erickson SE, Ralston-Wilson J, Rabbitts JA, Palermo TM. Cox J, Davidian C, Mior S.
Miller J, Beharie MC, Taylor AM, Simmenes EB, Way S.
Olafsdottir E, Forshei S, Fluge G, Markestad T.
Hestbaek L, Jørgensen A, Hartvigsen J. Wake M, Morton-Allen E, Poulakis Z, Hiscock H, Gallagher S, Oberklaid F.
of life: prospective community-based study. Barbosa CD, Balp MM, Kulich K, Germain N, Rofail D.
Khan A, Rogers JE, Melvin P, et al. Physician and Nurse Night­time Communication and Parents’ Hospital Experience. Beach MC, Keruly J, Moore RD. and health outcomes for patients with HIV? J Gen Intern Med. 2006;21(6):661-665. Miller AS, Telford ACJ, Huizinga B, Pinkster M, Heggeler Jt, Miller JE. What Breastfeeding Mothers Want: Specific Contextualized Help. Homer CJ, Marino B, Cleary PD, et al. Quality of care at a chil­dren’s hospital: the parent’s perspective. Arch Pediatr Adolesc Med. 1999;153(11):1123-1129. Klougart N, Nilsson N, Jacobsen J.
Pease AS, Blair PS, Ingram J, Fleming PJ. re­sults from a UK survey. Colson ER, Geller NL, Heeren T, Corwin MJ. Factors Associated With Choice of Infant Sleep Position. Rosenstrom T, Jokela M, Puttonen S, et al. Pairwise measures of causal direction in the epidemiology of sleep problems and depression. the role of maternal nighttime be­havior. Int J Nurs Stud. 2011;48(6):689-702. Morrell CJ, Spiby H, Stewart P, Walters S, Morgan A. Costs and ben­efits of community postnatal support workers: a randomised controlled trial. Morrell CJ, Slade P, Warner R, et al. for depression in postnatal women: pragmatic cluster randomised trial in primary care. Schmid P, Hetlevik M, Miller J.
parent report of treatment outcomes us­ing the United Kingdom infant questionnaire (UKIQ). J Manipulative Physiol Ther. 2004;27(1):26-35. Farrar JT, Young JP, Jr., LaMoreaux L, Werth JL, Poole RM. Marillier K, Lima A, Donovan L, Taylor C, Miller J.
course of chiropractic care for their infants. J Clinical Chiropractic Pediatrics 2014;14(3). Casado JL, Marin A, Romero V, et al. of current first-line antiretroviral regimens. Telford A, Miller A, Miller J.
J Clinical Chiropractic Pediatrics 2015;15. Measuring patient experiences of care. Bull Am Coll Surg. 2008;93(5):13-16. Smeets RJ, Beelen S, Goossens ME, Schouten EG, Knottnerus JA, Vlaeyen JW. and cognitive-behavioral treatment in chronic low back pain. Thom DH, Kravitz RL, Bell RA, Krupat E, Azari R.
Patient trust in the physician: relationship to patient requests. Henshaw EJ, Fried R, Teeters JB, Siskind EE. results of a questionnaire survey. J Psychosom Obstet Gynaecol. 2014;35(3):69-75. O’Mahen H, Fedock G, Henshaw E, Himle JA, Forman J, Flynn HA. Modifying CBT for Perinatal Depression: What Do Women Want? : A Qualitative Study. Cognitive and Behavioral Practice. 2012;19(2):359-371.